TRUDY Drabarek is among nearly 50 Hollywood Private Hospital Parkinson’s disease patients who have undergone Deep Brain Stimulation (DBS). The Swan View resident was diagnosed with Parkinson’s in 2003 and had the procedure last July. Hollywood was the first hospital to carry out the procedure using an intra-operative CT scanner and directional lead technology. DBS involves tiny electrodes being implanted into the patient’s skull, sending electric pulses that regulate abnormal impulses caused by Parkinson’s disease, which is a progressive nervous system disorder that affects movement. Hollywood neurologist Julian Rodrigues said the intra-operative CT scanner being used at Hollywood had revolutionised DBS in Australia. “It enhances accuracy, which in turn, has led to better outcomes,” Dr Rodrigues said. 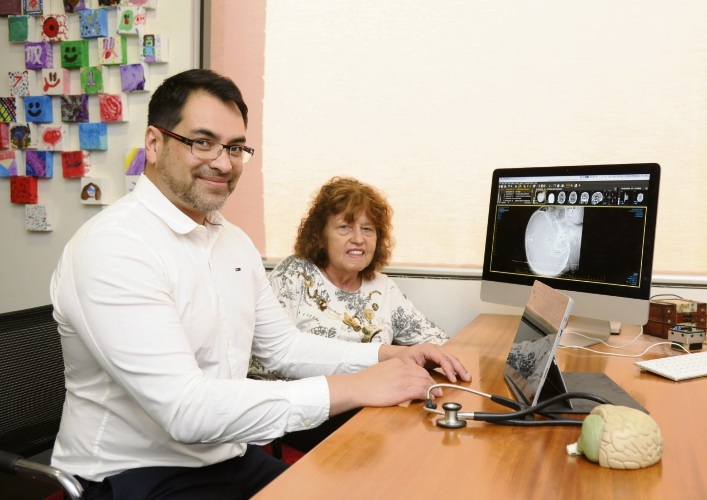 About 100,000 men and women are living with Parkinson’s in Australia and while one in seven people living with Parkinson’s is under the age of 40, the average age of diagnosis is about 65. Today is World Parkinson’s Day.